In May 2006 I was appointed as the art consultant to work with the BSF team. I worked with ten schools from the Gateshead & South Tyneside region, some were new builds & others to be refurbished. 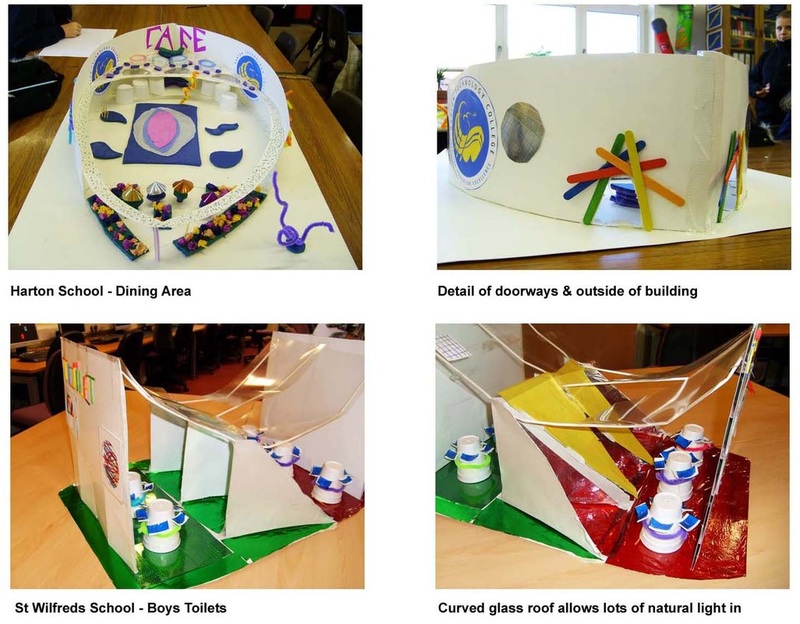 The information gathered from the pupils & stakeholders from the schools was used to improve the final design for each school. 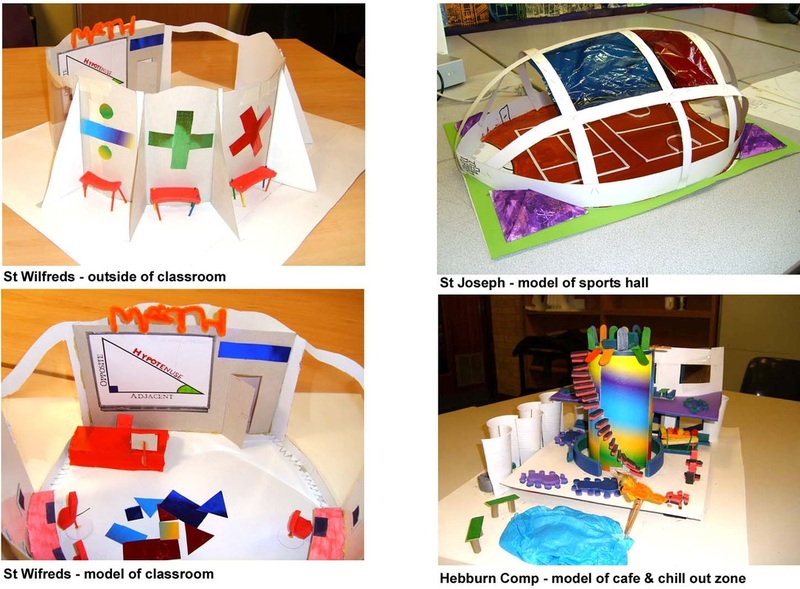 Below are models of how the pupils would remodel an area within their school, & how they would like it to look. Colour, design, impact on learning & practicality were all considered. 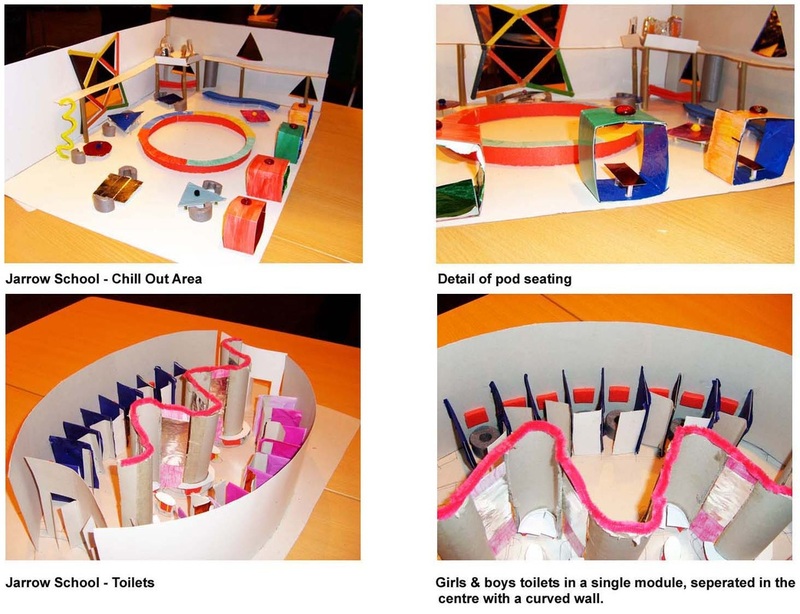 To involve a cross section of children at each school in the process of identifying what is good and bad about their existing school, and how these problems can be solved through a series of interactive workshops, discussions and visits to inspirational buildings & environments. The information gathered from the workshops will highlight what needs to be changed within the school to make it a better place for everyone who uses it. It will also provide a range of innovative solutions to the problems raised. These will all feed into the exemplar design model that will be used to develop all the secondary schools in South Tyneside & Gateshead.